I’ve been wondering for a while about the actual launch date of the new combined program. We’d been told since day one that it would combine in August 2018. Somewhere along the way we all assumed that meant August 1st – hard stop. And that’s been reinforced by things like Amex making Aug 1 the cutover date for earning 2 Marriott points per dollar instead of 1 Starpoint. I do not think it will happen on August 1st. It was always going to be tough to meet that hard (and fast!) deadline for Marriott. There is a LOT to combine! Note that the Marriott program announcement page says “In August” – not August 1st. People on the Flyertalk thread are being told various things by agents and Ambassadors now – that the program merge could be Aug 3 or 6 or 2nd week or 3rd week in August. Various answers, but too many along the lines of “Not Aug 1” to discount. Last, but not least, I emailed my contact at Marriott asking about if August 1st was a confirmed cutover date. And while I’m not going to post the verbiage as it wasn’t an on the record comment, the gist was along the lines of that Aug 1 was never communicated as a hard date and more info would be coming soon on the transitional timing. If Aug 1 was happening, especially if it was definitely happening, that would not have been the answer. End of story, as far as I’m concerned. Aside from the fervor and anxiety over things like “What will happen to unattached vacation package certificates?” (and I still know no more than you on that) there are some other considerations. A big one (and one that affects me personally) are reservations you are holding with SPG points at all-suite / top end hotels. Pay attention to your cancellation dates!! I have one held for Sept 3 with a 30 day cancelation period. If the launch isn’t happening on Aug 1, I have to cancel that or be locked in at 70,000 SPG points a night (instead of 60k Marriott). But yes, also for all of the other reasons. 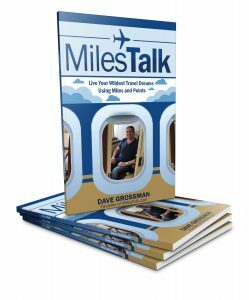 And remember, you heard it here first at MilesTalk! Marriott had originally said it would be August 1, and then clarified it would definitely not be August 1. I always assume these things will take place over a weekend, probably a Saturday. Just about any program transition I can think of has, for good reason. Certainly makes sense. Missed your post on the topic, but seems it’s been clear for a while (and probably clarified by the same source). I am thinking it won’t be Aug 3rd weekend either, though. My guess is on the 10th or 17th. We’ll see! Do the new travel package costs become effective 8/1 or will that change happen at the same time Marriott flips the switch on everything? We don’t know. My rec is still to book those before Aug 1 if you know you want it.